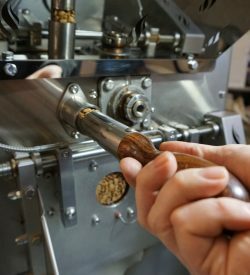 A 1 day workshop with the aim to get an introduction to sample roasting. 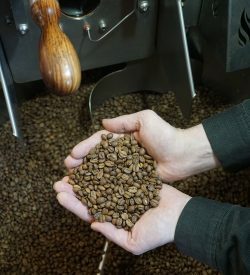 Prior knowledge of coffee roasting is a plus but not a necessity. We start with a cupping. In this cupping we will taste all the coffees that are on the menu at the Visit. We will talk about flavor and preferred taste in specialty coffee and the purpose of sample roasting. On this day we will go over sample roasting theory that we will put into practice straight away. We will be working with 1 type of coffee throughout the workshop. You will get to sample roast coffee that you will bring home. Payment for the workshop is upfront via wire or cash on the day. 150,- ex tax. Per person. All material cost included.